100% pure lavender hydrosol from lavender grown pesticide-free in Napa County and hand-harvested by the sisterhood. Pleasant meadow scent. May be used as a room freshener and an all-purpose household cleaner (great for cleaning windows and mirrors!). For items that have finishes or treatments, please test in a small, hidden area prior to using on the item. Limited product on-hand. Shop early for best selection. Available for pick-up only, please. This Lavender Essential Oil is 100% pure essential oil, and are aromatherapeutic, antiseptic, antispasmodic, analgesic and antimicrobial. Essential Oil from Holy Assumption Monastery was hand-harvested, bottled and labeled by the sisterhood of this monastery, which is located in Calistoga, California. The lavender was grown without pesticides in Napa Valley. This lavender oil is a super lavender mix of various lavender shrubs. Air Freshener & Scented Mist "Citrus Meadow"
NEW! AVAILABLE IN ORANGE SCENT! 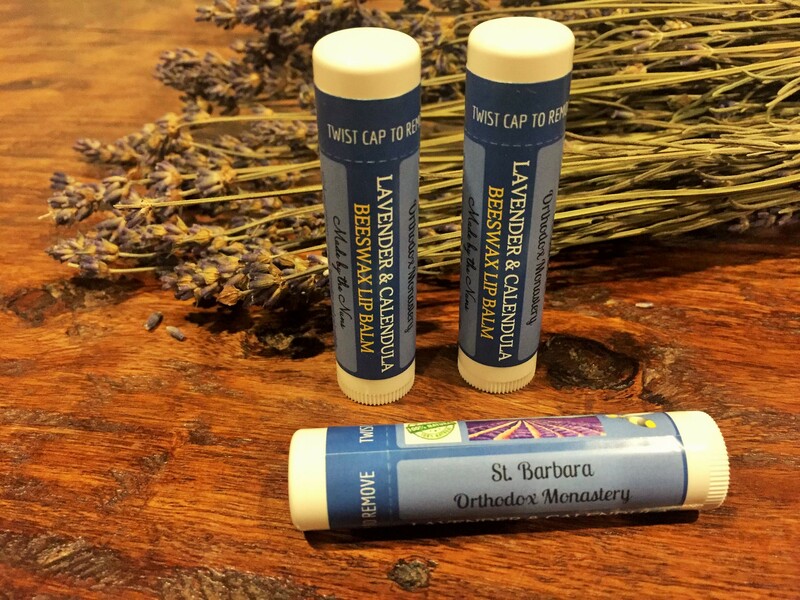 Beeswax lip balm made with all natural ingredients* featuring lavender and healing calendula grown at the St. Barbara Monastery located in Santa Paul, California. Made by the sisterhood of St. Barbara Monastery. *Ingredients: shea butter, beeswax, sweet almond oil, lavender essential oil, calendula, olive oil, vitamin E.